Sticker of a mysterious eye with a great interesting touch to it. 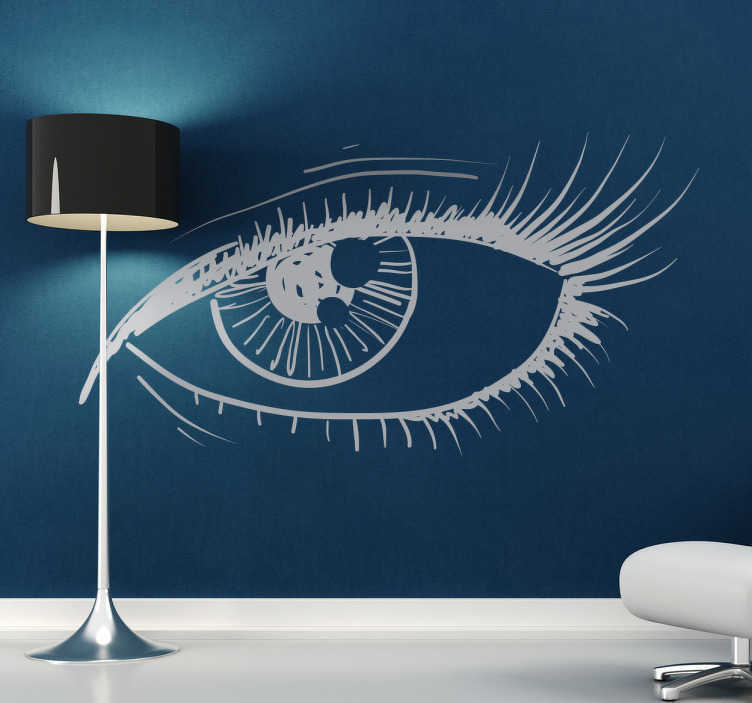 Decorate your walls at home with this amazing decal. This wall decal will make your home look stylish and classy. Tired of empty walls? Looking for a sticker that will surprise everyone? Then this is the right decal for you. It will make your home stand out and your guests will never take their eyes off it.